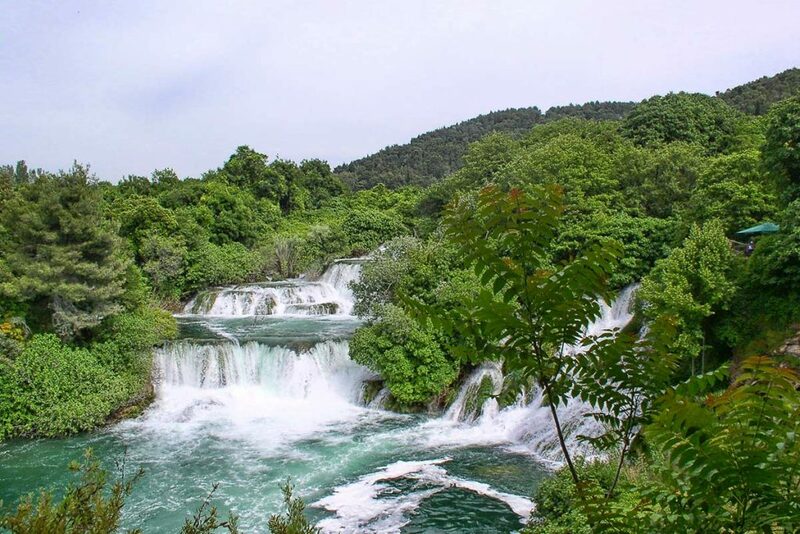 Take a time out from warm summer streets of Split and immerse yourself in unparalleled natural beauty of Krka National Park. 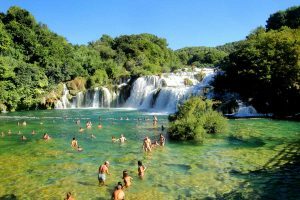 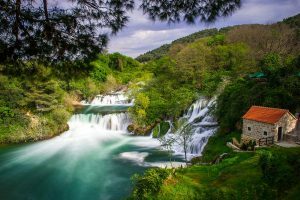 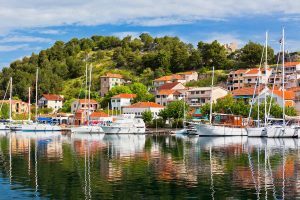 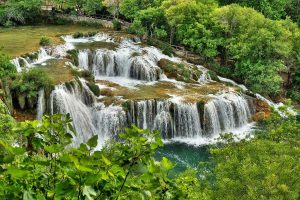 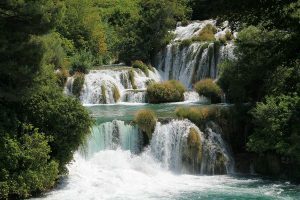 If you are looking to go from Split to Krka National park and are looking for a tour that provides best value for money, look no further. 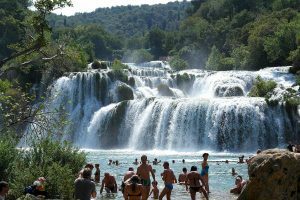 This is undoubtedly the cheapest land tour from Split to Krka waterfalls. 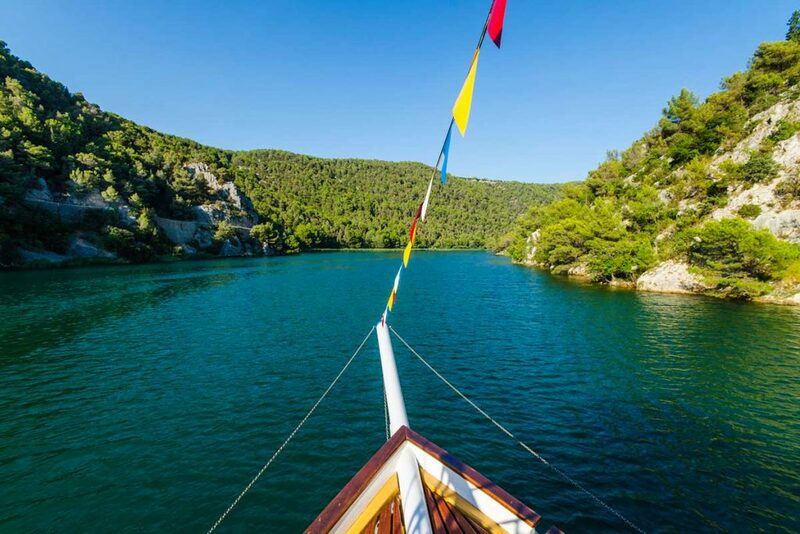 This tour also offers some amazing benefits like full boat trip on Krka lake and Sibenik sightseeing. Enjoy in the most breathtaking landscape of Krka National Park and enjoy swimming in the vicinity of Krka waterfalls. 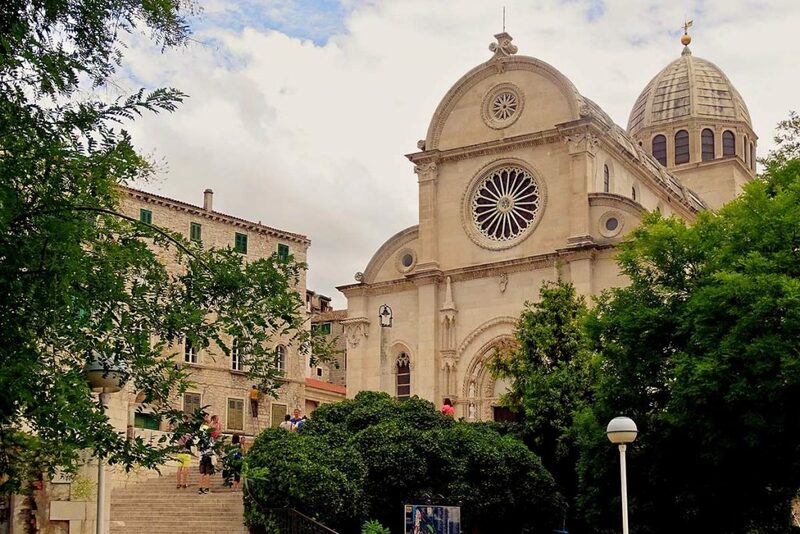 Visit the oldest Croatian city on the Adriatic and explore one of a kind Cathedral in the world constructed entirely from stone. 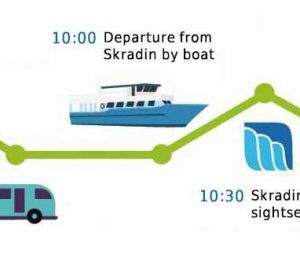 The economy tour from Split to Krka National park operates daily and starts when we meet every day at 08:00 AM in our office at address Dosud 4. You will visit educational ethno village, walk the trails up and across Krka waterfalls and enjoy in all the natural beauties this National Park provides. 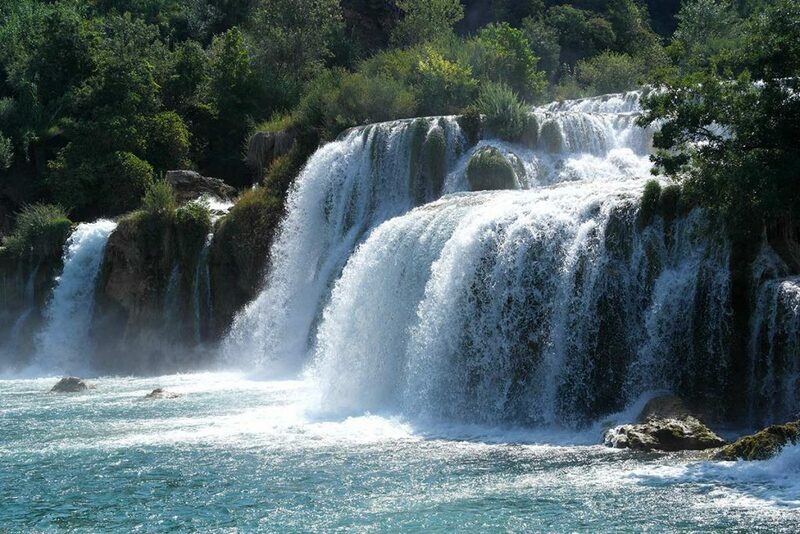 After the tour through the park you will have free time to enjoy in these natural beauties yourself. 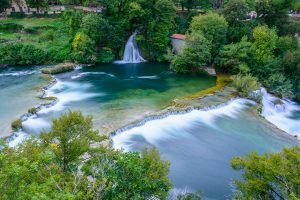 You can use this time to experience traditional local cuisine inside the tavern or stop for a refreshing swim right in the vicinity of Krka waterfalls. 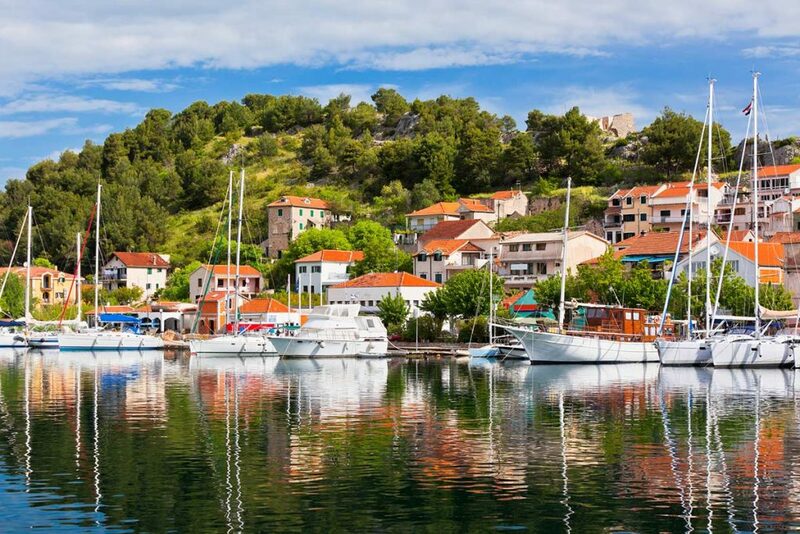 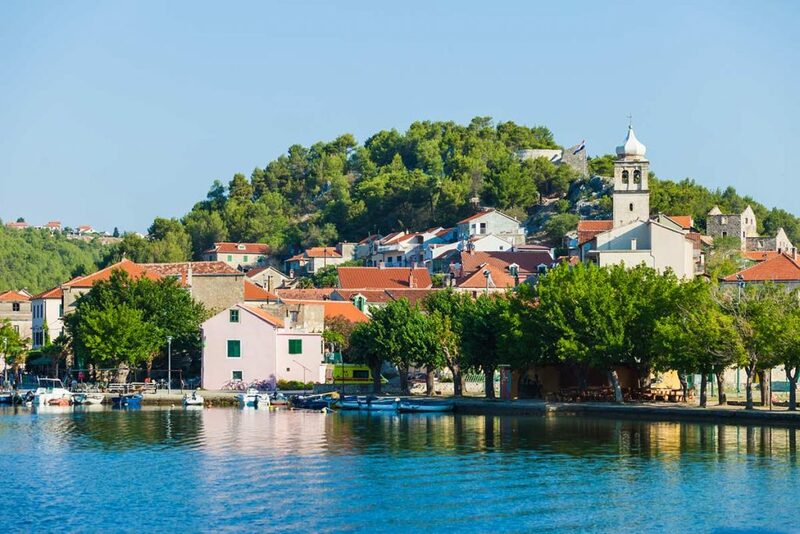 After we have relaxed and re-energized inside the Krka National Park we will take a short ride towards the oldest Croatian city on the Adriatic, town Sibenik. 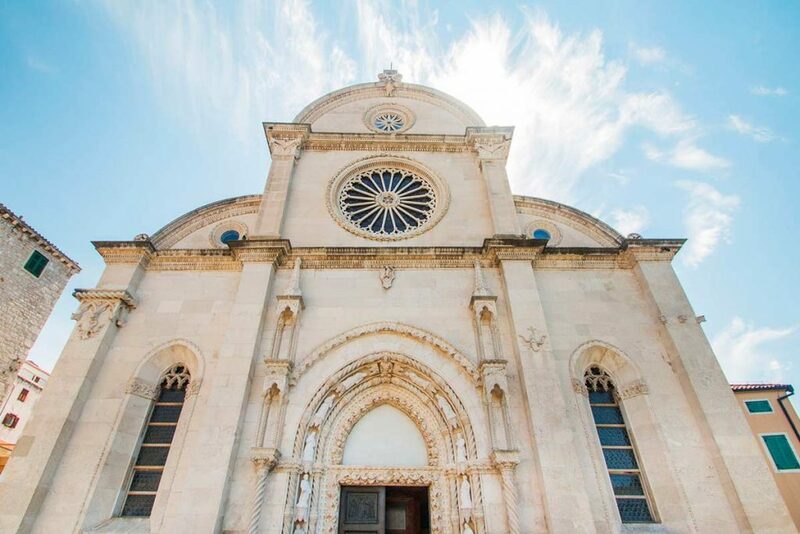 In there you will have the opportunity to visit the one of a kind monument in the world, the Cathedral of St. Jacob. From Sibenik we will head back to Split where you will be dropped off at the same location from where we started the tour. If the traffic doesn’t allow we will drop you off in the close vicinity of the designated meeting point (no more than 200 meters). 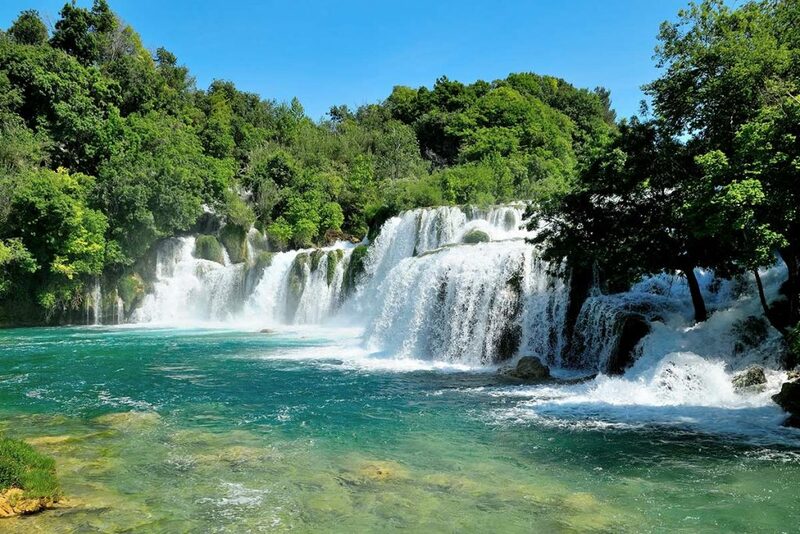 Don’t forget to bring your camera to capture all the beautiful sights. Bring swimming suit, beach towel and sun protection to make your day in the sun as comfortable as possible.